Want to keep your customers happy and loyal? One great solution is to offer faster delivery services. Instant delivery is becoming the focus of many retailers online. Amazon is even going as far as using drones for this purpose. Although that’s the case, companies are still finding it hard to meet the demands. The whole supply chain management and planning involves several processes. From the packing of the item to the receiving, companies should give importance to every step. These steps then involve several handlers, including the final mile carrier. Wait, what is the final mile carrier? Well, it’s a crucial service for businesses and customers alike. Read on to find out what it is and why it’s valuable. What is a Final Mile Carrier? The term “final mile” or “last mile” refers to the final leg of the transportation of goods. It’s the movement of the package from the hub to the end user, which can be a business or the home of the recipient. The term is quite misleading, as this leg can range from a few of blocks to 100 miles. In other words, it’s the part in the delivery process that matters most to the customers. After all, the transport of their parcel from the origin to the hub and the other points in between is none of their concern. As such, the management should put greater importance in last mile deliveries. It’s the part of the process that the customers are aware of. The final mile carrier is, therefore, the service that handles the final leg. Why is Last Mile Delivery Important? 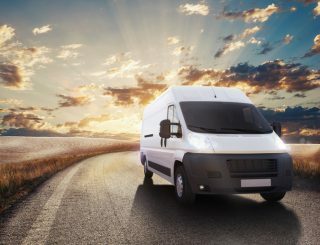 With the growing demands of consumers and businesses alike, last mile deliveries have also grown to be an important part of the whole process. Here are the exact reasons why. The e-commerce market has had an exponential growth since it appeared. Still, we haven’t even seen its final form. Experts are expecting it to grow even further. This means the demands for a reliable last mile carrier are growing as well. Businesses should be able to provide various shipping options to their customers. Although this puts importance on the whole process, the last mile is important in and of itself. Businesses must be able to ship the parcel to the customer whenever and wherever they are. This presents the challenge of figuring out the logistics of getting a product to the customer’s location. The final mile carrier solves this issue as it commits to delivering the package at any location. Buying a product is more convenient nowadays as online shopping, two-day shipping, and online payments are available. However, customers want even more. They want faster deliveries that are, at the same time, cheap or even free. The customer demands are among the biggest challenges of last mile deliveries. To be able to continue providing a fast and affordable option, carriers must implement new technologies and processes. Furthermore, the final mile delivery depends on other factors in the supply chain. It takes all the efforts of all companies involved to be able to deliver the package on time and without a hitch. What happens if the package arrived late to the hub? Whenever a package is out of schedule, it’s up to the last mile carrier to fix it. Customers only know that the last mile delivery person is late and not why or how. The last mile delivery persons are the face of the whole process. As such, they’re responsible for ensuring the satisfaction of the customers. Reiterating the point above, the parcel must be on time so as not to cause an inconvenience to the customer. Of course, the package must also be in good condition when it arrives in the doorstep. This means that the post-purchase might be as important as the shopping experience. Customers now judge how the delivery person dresses and if he/she is respectful. For this reason, businesses must choose a good company that will also serve as a representative for the brand. Being that the last mile delivery involves the customers, it can have greater challenges than the other parts. Perfecting it has become a necessity, although we’re still far from doing that. Here are a couple of challenges that last mile deliveries are facing. In the past, customers don’t have many expectations. They’ll be happy to receive a package a month later. Today, however, they want their items on their doorstep that same day. More than that, they also want to be able to customize their experience. They want control over where they want to receive the item. Do they want it on their home or at a certain pick-up point? They also want to be able to dictate a time most convenient for them. This is understandable as people are busier than ever. However, this is a great challenge for final mile carriers. They not only have to deliver the package as fast as they can, but they also have to make sure that it’s within a certain timeframe. Last mile carriers also have a lot of risks. When a customer isn’t home, it’s an immediate loss for the company. Someone might also steal the package, the blame for which will go to the courier service. What happens if there’s a heavy congestion on the street? What happens if there’s an accident on the way, causing a build-up of cars? There’s a chance of the package arriving late, thus missing the customer at home. Moreover, this isn’t a simple case of being ready for such circumstances. The same-day and two-day deliveries don’t provide much room for emergencies and other unexpected events. The challenges above highlight the fact the final mile carrier is important. If you’re looking for a trustworthy carrier that you can rely on as a partner in providing a great customer experience, don’t hesitate to contact us now! Let’s discuss the right logistics solutions for your business.